I asked a mate to borrow her ukulele a month ago. I picked it up and strummed, I was totally rubbish. But I picked it up again. And then the next day, again I was drawn in, and intrigued by it. Those moments you have between things. Where you’re sitting waiting to go somewhere, or do something. 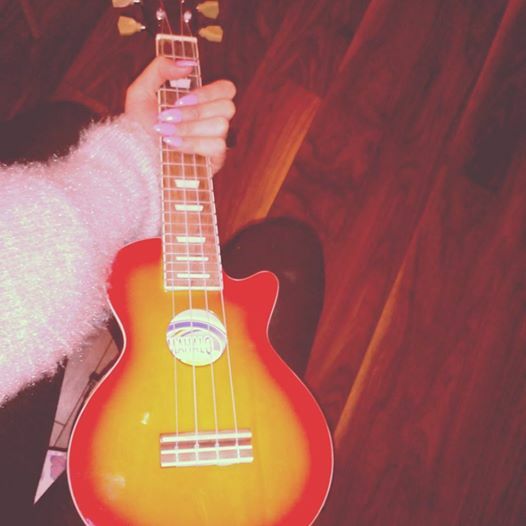 In that time I decided to pick up the ukulele. I left it outta its case. In my kitchen, where I like to hang out. I pick it up every time I’m there. I lose time with her. I’m not a great ukulele player. It’s been a month and i can strum it. I am better at playing this ukulele than I was one month ago. So imagine a year from now. Imagine 5 years from now. It’s a great way to approach your life. I see the comfort in how I hold her. I see how strange we were before. All it takes is your own will. You can be whatever you wish. The power and the drive is within you.